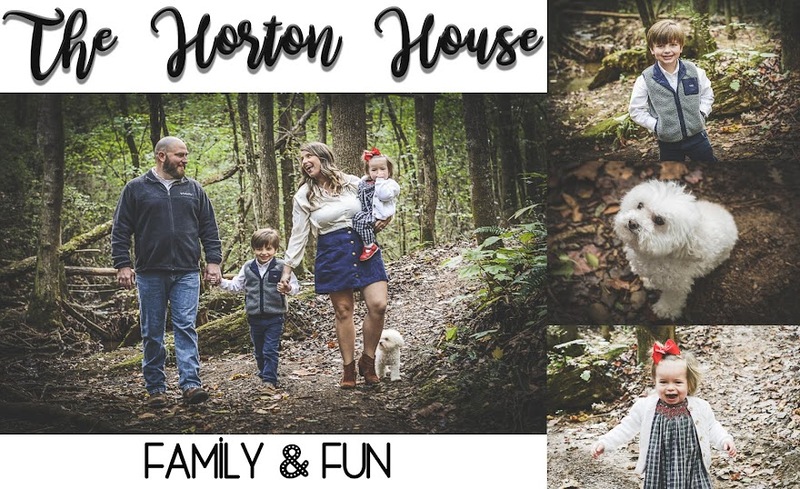 The Horton House: Can you hear me now? At Barrett's 15 month check up, Dr. Farr was concerned that he isn't saying any words yet. No words, not attempting to say words, really no interest in talking at all. He doesn't always respond to verbal commands, he can't point to any body parts when asked and we've been concerned. I know that a lot of kids don't talk until closer to age two but the fact Barrett doesn't attempt to say words or even syllables led to us being referred to two different places. One to have his hearing tested to make sure he is in fact hearing us and the other is an early intervention program that works with kids from birth to age 3 with a 25% delay. They also have a program to teach parents how to work with their kids at home. I was so upset when I left the appointment. I didn't (and still don't) think there is anything really wrong with him but there is clearly some concern. As a parent I want to do everything I can for him. But it's still so hard to think something could be wrong. Then I play the what am I doing wrong game. Would it help if he was in some sort of daycare/school/Mother's Day Out program around other kids? Do I not read to him enough? Do I just give him what he wants to often instead of making him ask for it? Do we watch to much TV? The questions are endless. I think he hears me but what if he really doesn't. We have his evaluation for the early intervention program Wednesday afternoon. I'm praying that there's nothing wrong with him but if there is we will get him all the help he needs to succeed. There are so, so many parents facing far worse and we are thankful that he is healthy and happy. Being a parent is so hard sometimes. I've tried to do the "right" thing at every possible turn, the hard part is there is never a 100% "right" choice. What works for one family may not work for us. I've done really well at not comparing Barrett to other kids but I do like to gauge where he is versus other kids his age. He doesn't seem behind when with other kids his age but we trust our pediatrician 100% so we're going ahead with the screening/evaluation. We'd rather get him help as soon as possible if he needs it. I guess I'll wrap this up. I know in the grand scheme of things this is not a big deal. But it's a big deal to us.